Ing. Davide Passoni, CEO of SIR S.p.A, represented the company during the conference “Homo Digitans: Industry 4.0”, which took place at University of Modena and Reggio Emilia Engineering Department on 30th September 2017. The Conference was an opportunity to discuss about the relationship between robotics and the world of work, highlighting the concept that robotics itself doesn’t take off jobs, but convert them into new and different tasks, less dangerous and of an higher level. During this conference, Ing. 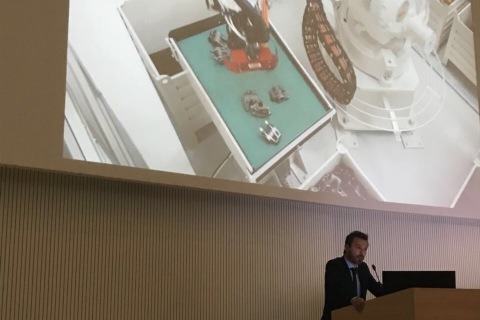 Passoni Davide showed the innovation connected with collaborative robotics, highlighting how this new generation of robots introduces a new kind of human-machine interaction.